We were all created for something extraordinary, and even incredible. Sometimes we find it, sometimes we don’t even know to look, and other times we spend our lives pursuing what God created us for. Regardless, the journey is an challenging one and will take you through things, allow you to meet people, and on adventures you never expected! When I see someone branch away from the ordinary to do something extraordinary (and maybe a little crazy), I can’t help but be inspired and want to talk. At Clemson my good buddy, David, talked about one day starting a hostel in Europe based upon Christian values. He had traveled and studied in Europe throughout college and during his travels he had his fair share of ‘interesting’ experiences staying in hostels. So why not create one that’s safe, welcoming, and loving? A lofty and farfetched idea, I thought, but encouraged him nonetheless. 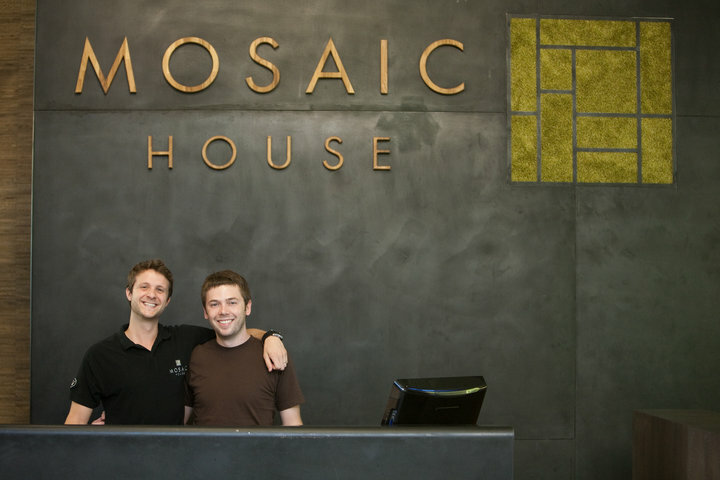 David, alongside another good buddy, Daniel, pursued his vision and a year or so ago, the Mosaic House was born! I remember sitting in a Stats class and seeing David jotting down ideas – his dream, his vision. And throughout the past several years I’ve loved watching him grow and watching his vision grow, change, and encourage folks. I can’t wait to see where it continues to take him!